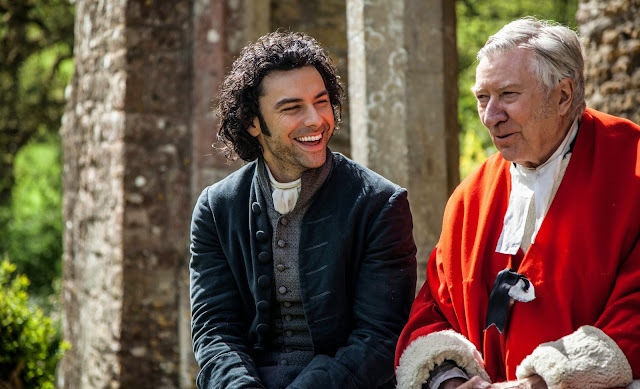 Poldark is at No.2 and 3 in the top 20 requested programmes on iplayer for April 2015! The BBC figures show that episode 5 and 6 got 1,449,000 and 1,068,000 requests respectively. The only show to get more was Peter Kay's Car Share with 1,495,000. 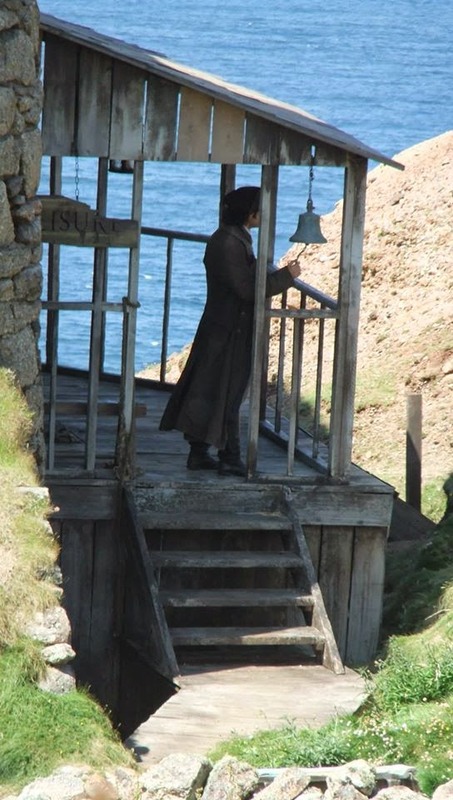 Poldark's episode 7 was also in the top 20 at number 13 with 940,000 requests. The figures for episode 5 of Poldark on iplayer beat those for episode 1 (1,192,000) although the BBC did not capture all the data in March. This may be accounted for by episode 5 being shown on Easter Sunday, as the consolidated viewing figures of 6.95m for the episode, showed a drop in viewing compared to the episodes in the weeks before and after. 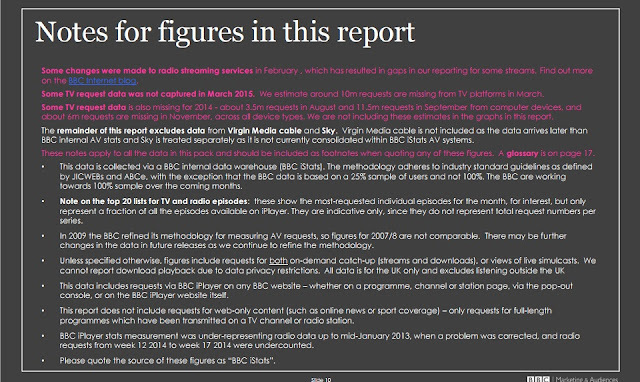 As one would expect, people who missed the drama on the Sunday, caught up on iplayer. 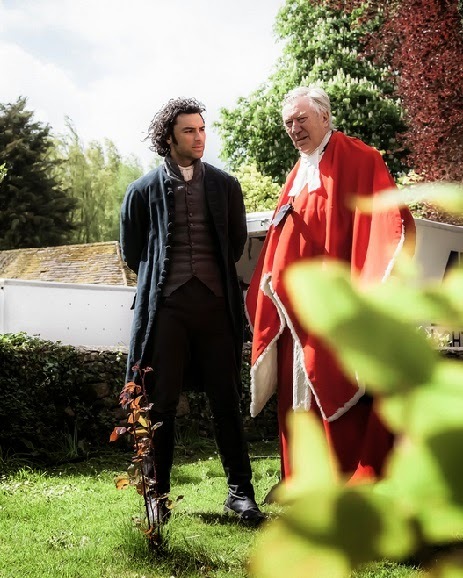 A number of venues are holding preview screenings of Poldark prior to it airing on Masterpiece on 21 June. Charleston: Digital Sky Theatre, 1 Clay Square. Thursday 11 June, RSVP here. They also have posters to give away! Worthington, Minnesota: Centre for Active Living, 211 11th Street, Thursday 11 June, 5pm for 5.45pm. Contact Nicole Zempel for more info. Seattle: KCTS 9 , 401 Mercer Street. Thursday 18 June, 6.30 pm for 7.30 pm screening. Free event but RSVP required. Book here. 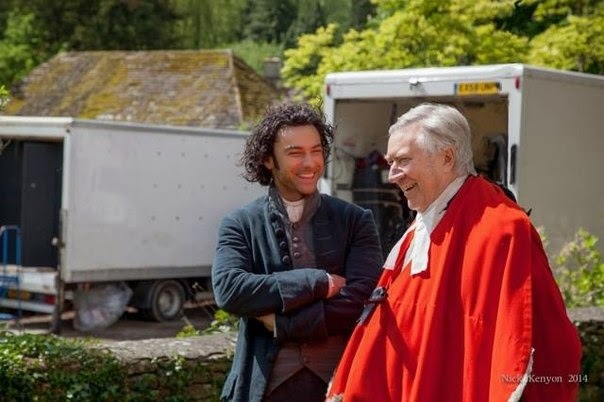 The Radio Times is holding its first ever TV Festival and members of the cast and crew from Poldark are set to attend! The festival will be held at Hampton Court Palace in September and will give the public the chance to hear from the cast, writers and programme makers of shows ranging from The Archers through to Poldark, Wolf Hall and Doctor Who. Some 70 events are planned for the four day festival which will run 24-27 September, 2015. 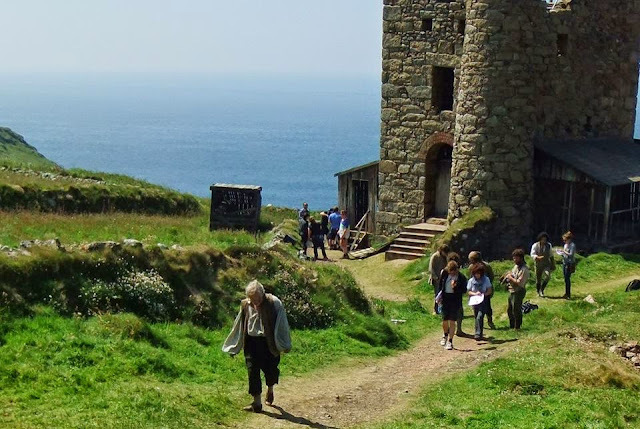 Last summer when they were filming Poldark at Wheal Owles, Botallack (Wheal Leisure in the drama) CP Antrobus caught some of the action on camera. 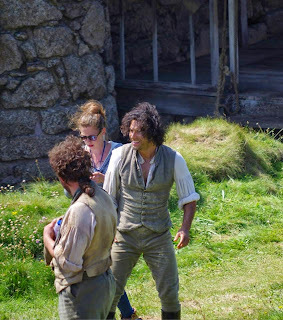 Here's a selection of the photos with Aidan Turner (Ross Poldark), Eleanor Tomlinson (Demelza), Ed Browning (Paul Daniel), Matthew Wilson (Mark Daniel), Kyle Soller (Francis), Alexander Arnold (Jim Carter) and Phil Davis (Jud Paynter) More can be seen at Poldark 2015 Photo Gallery. PBS, the broadcaster airing Poldark in the U.S., have announced a new deal with Comcast which means Poldark will be shown on Xfinity on Demand. Episodes will be available shortly after being shown on PBS Masterpiece. 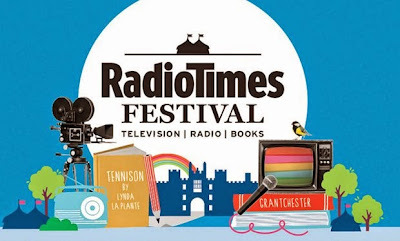 Other programmes in the deal include Wolf Hall, Call the Midwife, Downton Abbey and Grantchester reports Telecompaper. The US is gearing up to airing Poldark next month: here it is on the cover of KPS TV's programme guide Prevue. Vote for Poldark in the TV Choice Awards! The TV Choice Awards give the public the chance to show their love for their favourite TV shows of the last year. Voting closes on 5 June and only one vote per person is allowed. You can vote online or via the magazine. A shortlist of nominations will then be drawn up for voting from 30 June. Happy Birthday Eleanor Tomlinson! 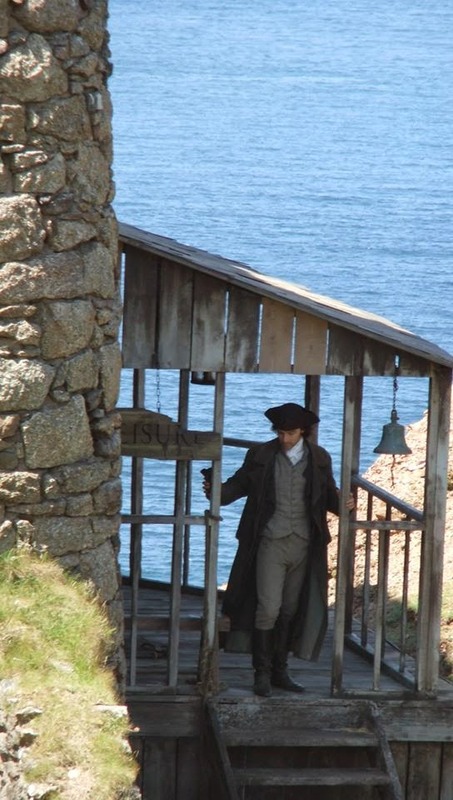 Eleanor, who plays Demelza in Poldark, is 23 today. Eleanor plays Isabelle in Jack and the Giant Slayer and Isabel Neville in The White Queen. Since season one of Poldark wrapped she has appeared in Alleycats, a film about illegal bike-racing, and Loving Vincent in which Aidan Turner is also cast. 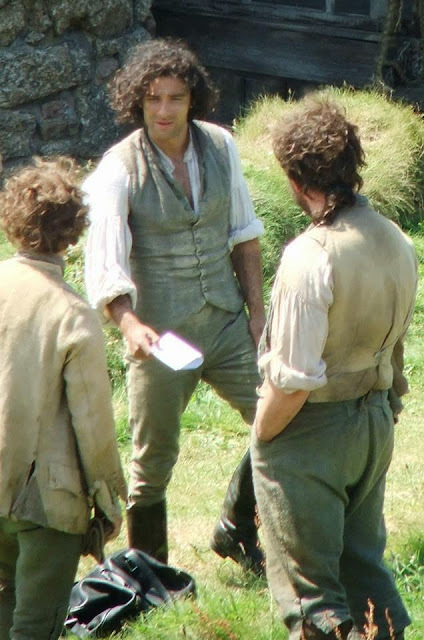 Patients who don't require a general anaesthetic for their operations at Spire Yale Hospital may turn to Poldark for their pain relief. 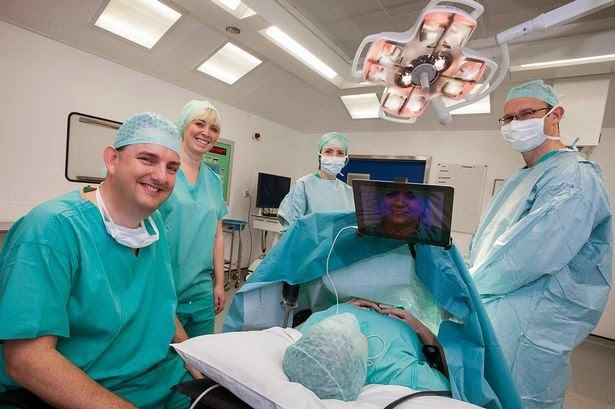 The Wrexham private hospital is supplying ipads and earphones to patients to distract them during surgery reports the Daily Post. Consultant Neil Agnew said: “We’ve only been trialling this for a few weeks but it’s going really well so far. We had one lady engrossed in the Antiques Roadshow, another hooked on the last episode of Poldark and another chap watching the rugby. “They have their headphones on and don’t worry about what we’re doing and can’t hear the occasional noises. 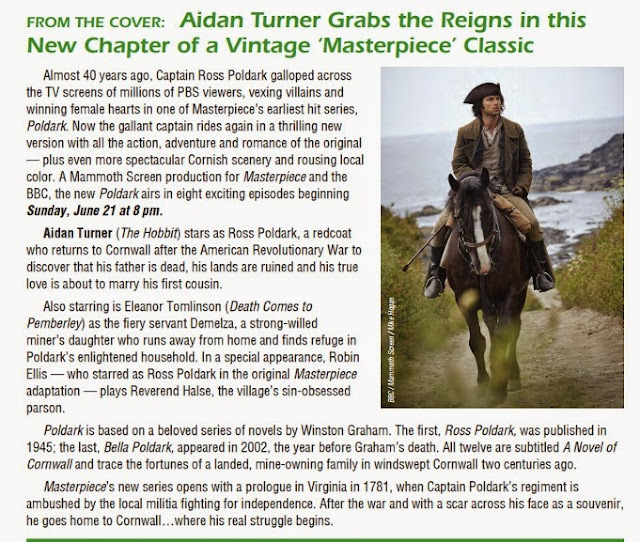 A preview screening of Poldark is to be shown in Nashville, US, ten days before it airs on Nashville Public Television Masterpiece. The screening will be at the Franklin Theatre on Thursday 11 June at 7pm. Entrance is free but seats should be booked in advance. Booking opens on May 20th at 8 am. Poldark airs on Masterpiece in seven episodes starting 21 June, 2015. 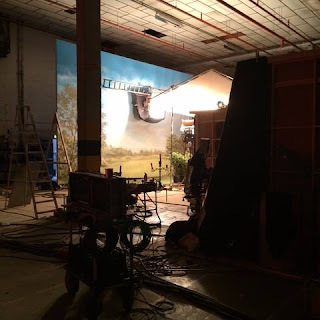 The finale on 2 August will be a two hour long double episode from 9-11 pm ET. Poldark is set in Cornwall in the late eighteenth century, where battle scarred Ross Poldark returns home from war to find his country facing hard times and the life he once knew, gone forever. The original series with Robin Ellis, was a big hit on Masterpiece in the 1970s. 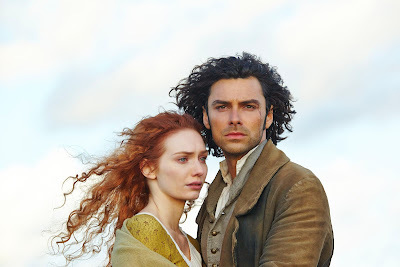 The new series stars Aidan Turner (The Hobbit) as Ross Poldark and Eleanor Tomlinson(The White Queen) as Demelza and is adapted from the books by Winston Graham. A year ago they were filming the court scene in Poldark (episode 3) where Jim Carter is on trial. In the scene the new and the original Ross Poldark (Aidan Turner and Robin Ellis) go head to head over Jim's sentence with Robin Ellis playing the Reverend Halse and Aidan Turner, Ross. 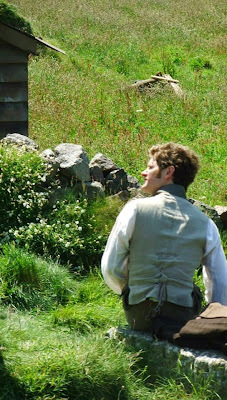 Robin wrote about the scene in his blog saying: 'When we wrapped at 5pm, the director, Ed Balzelgette, made a sweet remark to the assembly (many extras on hand) about the unusual circumstance of having two “Ross Poldarks” in the same room! 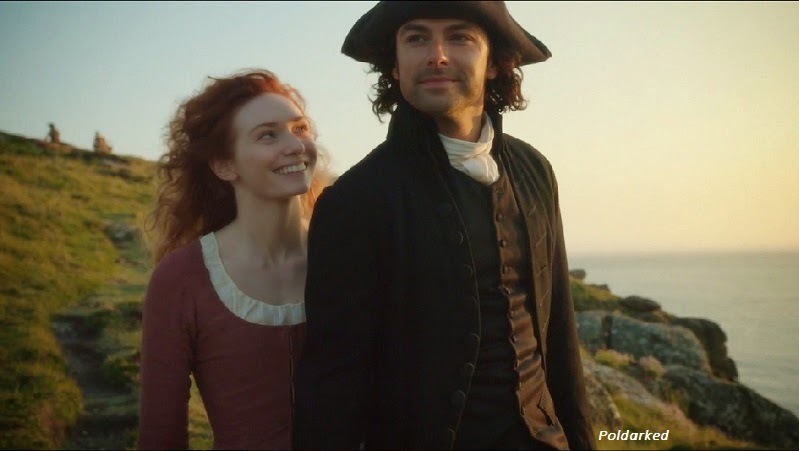 Here's the new PBS Masterpiece trailer for Poldark starring Aidan Turner as Ross Poldark and Eleanor Tomlinson as Demelza. 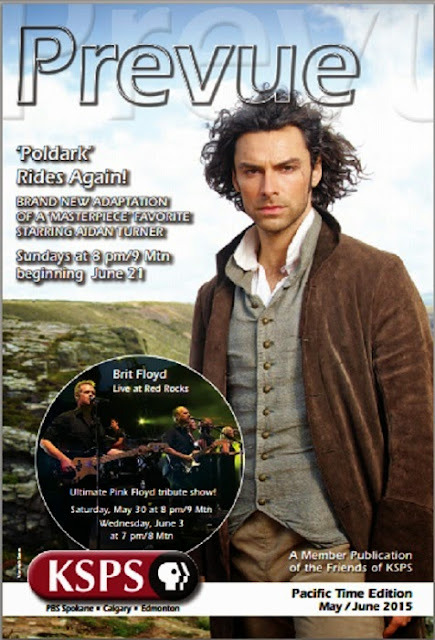 Poldark airs on Masterpiece in the US on June 21, 2015 at 9pm. Actor Sarah Greene's career is going from strength to strength with the feature film Noble being released in the US this week, the drama Penny Dreadful on TV and the Bradley Cooper movie Adam Jones coming out later this year. 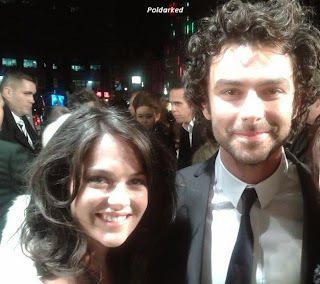 Sarah and Aidan at The Hobbit premiere 2012. We are, of course, big fans of Sarah's too! You can read more of Sarah's interview with Like Magazine here. 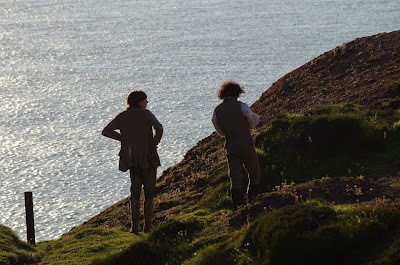 Fowey Festival hosted a Poldark Panel today with guests Debbie Horsfield (screen writer), Karen Thrussell (executive producer) and Andrew Graham, author Winston Graham's son. Here are some of the tweets about it. 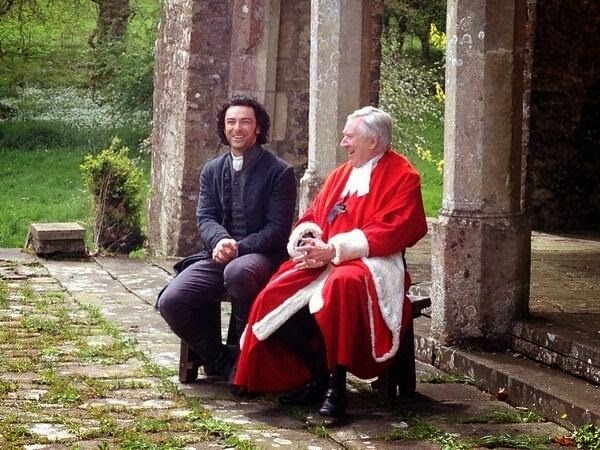 Audience member says @RobinPoldark will always be 'my' #Poldark but I like the softer #Poldark @AidanTurner presents. Reflection of our era? 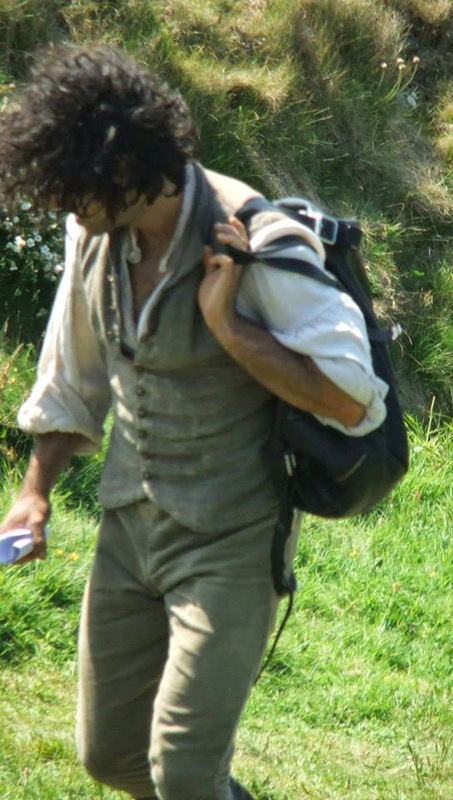 @TeresaMcnorton @Poldarked @PoldarkTV couldn't agree more! Just a little sad to hear budgets are 'tight' & that determines what they can do. A Cornish guy at the end tho spoke for us fans & made some great comments @FoweyFestival1 #poldark and lots of us clapped. Good event. The UK season finale of Poldark was the most watched programme on BBC 1 in the week ending 26 April, 2015. Poldark drew an audience of 5.9 million on the night but the consolidated viewing figures for the week, according to Barb, take it to almost 7.4 m . These figures exclude iplayer, as only the iplayer requests for March are currently publicly available. 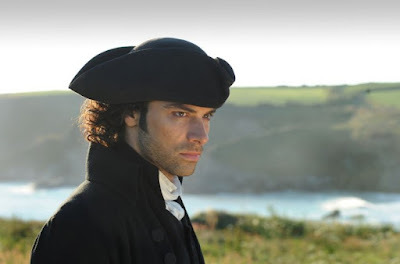 In Australia, episode 4 of Poldark on ABC drew an audience of 585,000 on the night in the five city metro area, up from last week's figure of 567,000 and making it No. 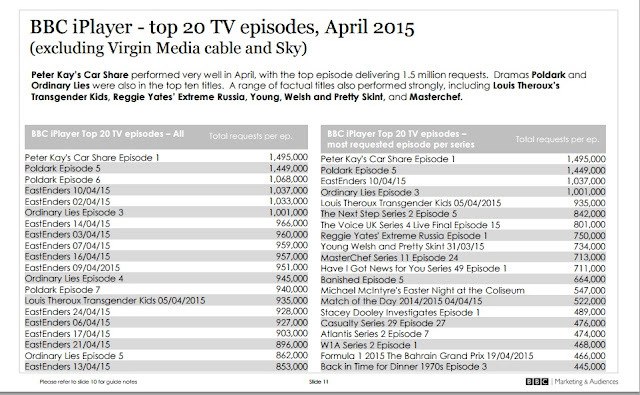 10 in the daily top 20 TV programmes says TVTonight. 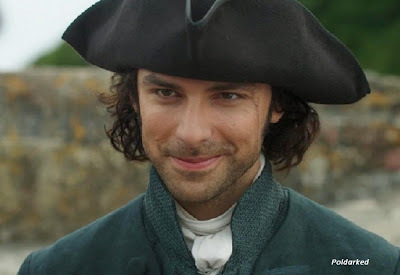 Poldark premiered on Prime TV in New Zealand on 22 April, 2015 to an audience of 40,170, which made it No. 4 in the daily top 20 according to Throng. The Big Bang Theory was No.1 with 54,040 viewers. 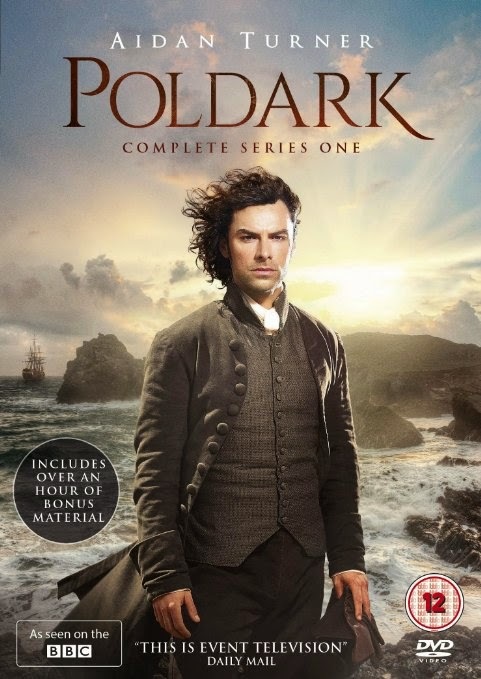 Poldark is Number 2 in Amazon's Best Sellers in TV dvd list and it hasn't even been released yet! 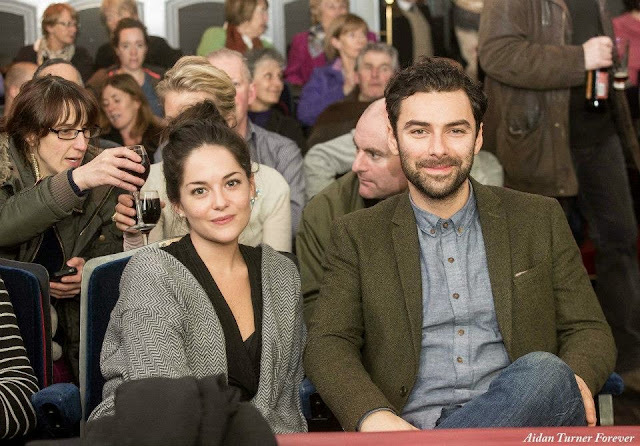 RTE Radio1 Liveline spoke to Aidan Turner's grandmother Bridget Turner at the RTE All Ireland Drama Festival on 1 May, 2015. 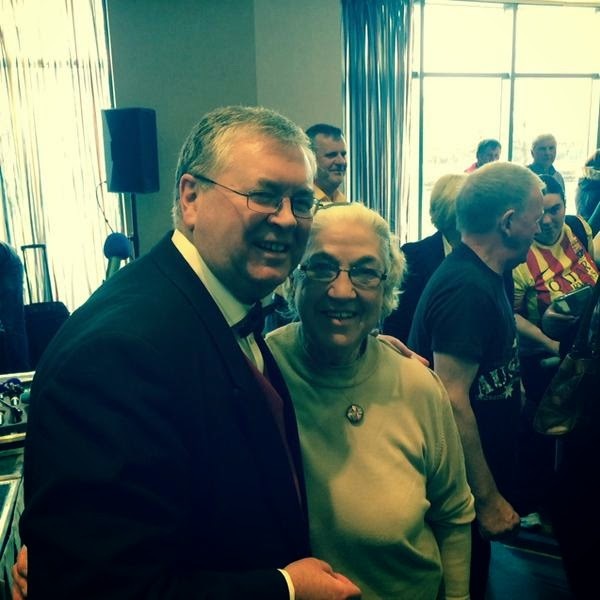 Click on the link to listen RTE Radio 1 Liveline The interview starts about 5.30 minutes.